One relatively misunderstood spiritual path today is the way of the Sufi. As a longtime journeyer on the path of Sufism, the principles and practices I received in my Sufi context were those of Unity, the loving nature of the Creator, the importance of living a balanced life, the practices of prayer, meditation, and of being in service. 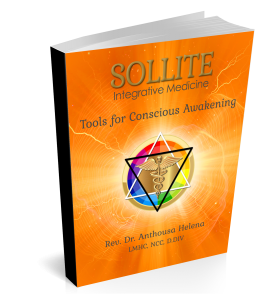 Hello, I’m Anthosa Helena, the founder and developer of SOLLITE; Integrative Medicine. I am both a Nationally Board Certified and State Licensed Mental Health Counselor and Massage Therapist with a Doctorate in Divinity; specialized in Spiritual and Energy Psychology. With 43 years of professional experience , I have facilitated thousands of private clients, groups, lectures, workshops and trained professionals in the field of Integrative Medicine; I have been on radio & television and am a featured published writer/author.